Auto*Therm 390x combines the ME 390 with an arm, inductive coil applicator and heavy-duty cart with ample storage space. 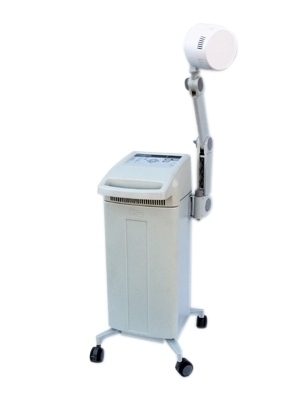 Using this model, you will be able to choose from two different modes of application--the deep penetration of inductive coil diathermy or the shallower capacitive style with the soft-rubber plates. Dimensions: 37" x 19" x 19"